It has been one mighty chilly week in Minneapolis (thankfully, we're looking at 30s and 40s next week). But this week, it's all about layers. And a lot of them. For me, winter is always about layers (freezing one second, balmy the next). On any given day, I'm wearing one or all of these bad boys below. I consider them staple pieces and have had most of them for a few years now. Quality over quantity FTW. Flannel: I have a handful of flannels from J. Crew, and I love every one of them. 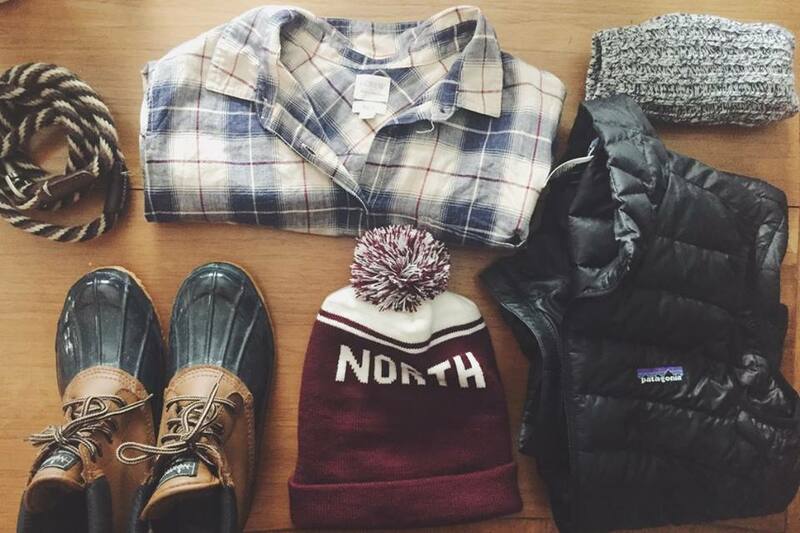 The quality is great, and the boyfriend fit looks great when paired with leggings and boots. I'm currently obsessing over this one right now (it's in my cart. help me). Wool socks: It's gotten to the point where I pretty much only have wool socks, and no other socks. And I'm not super mad about it. I recently purchased a(nother) pair from Madewell, and really like them. Vest: This was a "big" purchase for me. I purchased it right before I went to Iceland and have been wearing it almost nonstop ever since. I love my Patagonia vest. Hat: I also love my "North" hat. If you don't have one, the time is now. Boots: These boots are sold old, the brand doesn't really exist anymore (NorthPass). But Sorel makes a very similar boot that keeps your feet warm in snow and rain. Leash: This one is a year round staple. We got this leash at Chuck and Don's a few years ago. I'm unsure of the brand, but it's braided and hasn't been affected whatsoever by Camp's pulling and craziness on his walks.